and sprinkler water from the lake and well water from the hose. I know they know this because it happened again. The sprinkler waters them, they grow with a few blooms. I water them with the hose, they grow with a few blooms. Then, it rains two inches last week. Everything is clean and refreshed. All the plants in the garden perk up. 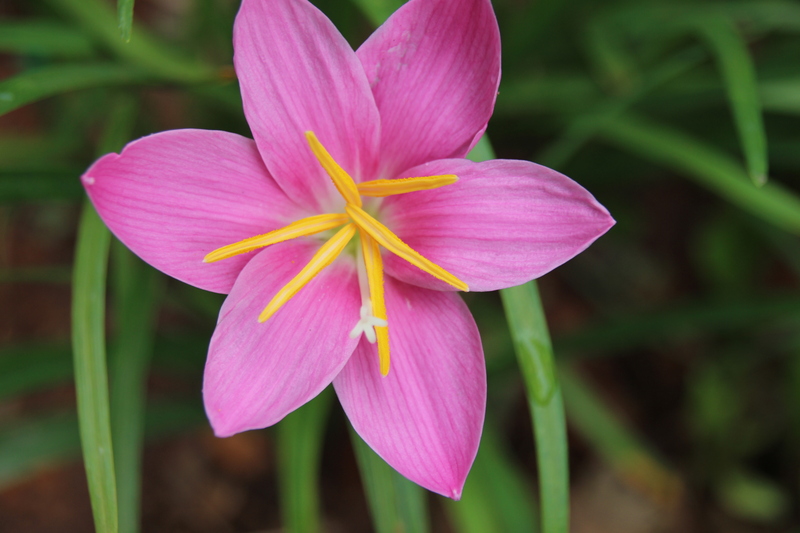 A few days later, the Rain lilies explode with blooms. I usually call them Fairy lilies, their proper name is Zephyranthus robustus. I know that they know when the water is rain water. I know I should not complain about the rain. 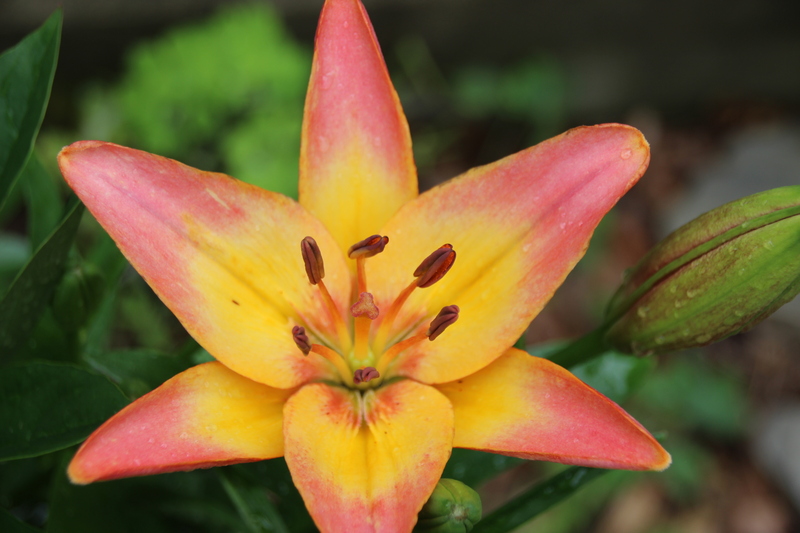 After all it does bring out the Rainlilies. 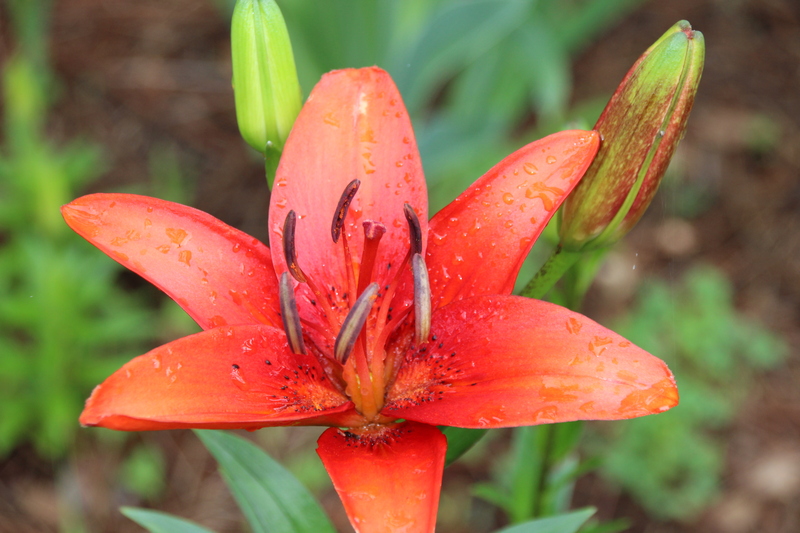 Another name for these is Fairy lily/ Zephyranthus robustus. 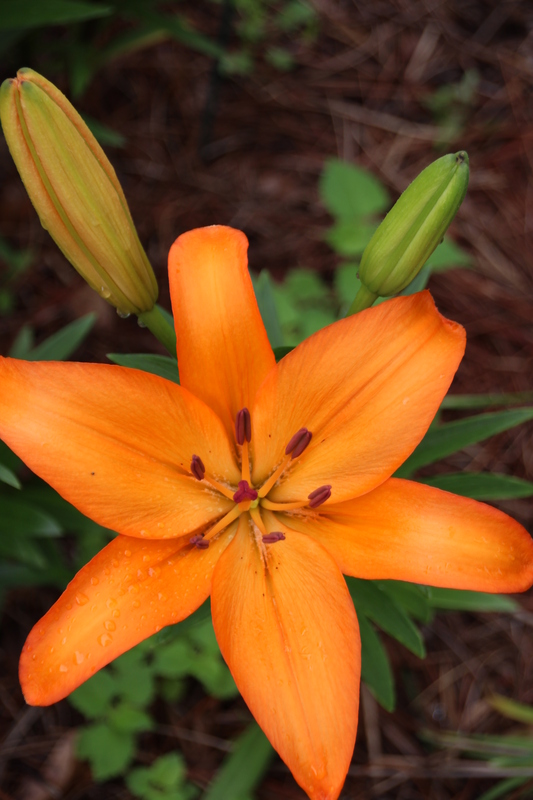 My daughters lily garden is starting to show blooms and buds are blushing. 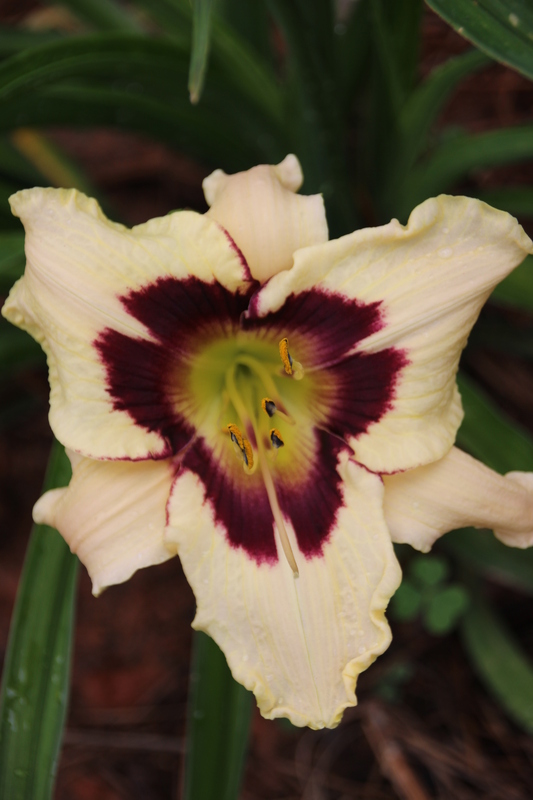 A new daylily, Moonlit Masquerade is the first to bloom this year. Its my shoes that are the problem. This North Carolina red clay sticks to everything. 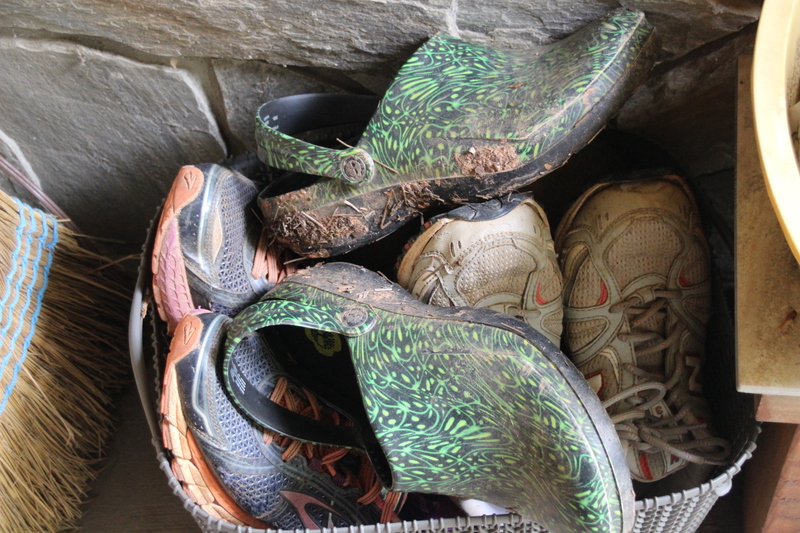 I have run out of dry shoes. My shoe basket by the door is full. I may be forced to go shoe-shopping. Poor me.